The Y9 (2019) is one of the most adorable smartphones with incredible features released by Huawei having that perfect: 6.5inches display, 6GB RAM, 128GB ROM, runs Android OS 8.1 Oreo, has long-lasting battery capacity, connectivity, multiple audio and video playing formats. But if for any reason you want to hard or soft reset your Y9 (2019) then this is a DIY guide for you. Need to go through the phone specs? You will find full specifications of Huawei Y9 (2019) here. Users of Android smartphones like Huawei Y9 (2019) mostly carry out a reset when the device becomes unresponsive or probably when they want to hand to the Huawei Y9 (2019) or related device to someone else as a gift. 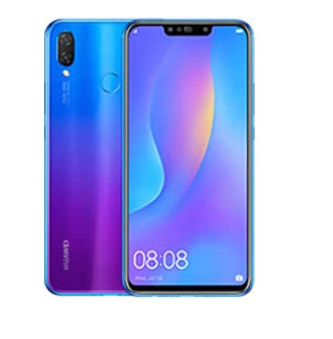 But just before you proceed with your device reset do ensure you go through our quick fixing guide for camera, Bluetooth, SIM, Wi-Fi, YouTube or other issues that might be the reason you want to hard or soft reset Huawei Y9 (2019). · If the issue is password related. Be sure to check our tutorial on how to unlock forgotten Y9 (2019) password without losing your data. Step 1: You might want to backup data because the reset will set your Huawei Y9 (2019) back to its factory mode. Else move to step 2. Step 2: Ensure that your Huawei Y9 (2019) is charged to a minimum of 50% before you proceed. Turn on the Huawei Y9 (2019) if switched off. That's all, your Huawei Y9 (2019) will erase everything in it and boot afresh. Disclaimer: How to hard or soft reset guide for Huawei Y9 (2019) by THEUPSPOT is mainly for education purpose and we are in no way responsible for any data lost or whatsoever makes your device warranty void. So, we strongly recommend you first of all try to locate your phone's support centre where the issue(s) might be fixed free or low cost. Although, this guide here is a do it yourself (DIY) free tutorial.